This leaflet is aimed at employers and people in control of premises, e.g. 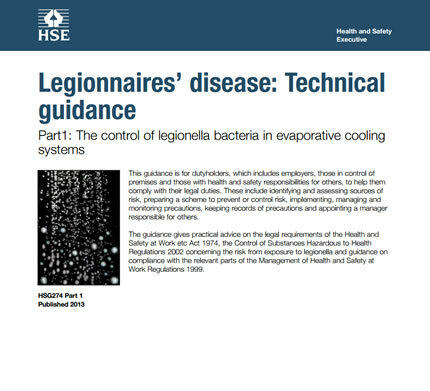 landlords, where man-made water systems are used that could be a potential source for Legionella bacteria growth. 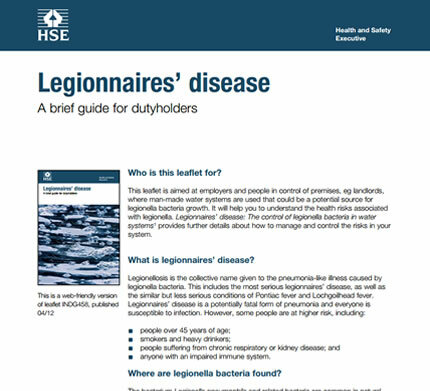 It will help you to understand the health risks associated with Legionella. This leaflet helps duty holders understand and comply with their legal duties such as identifying and assessing sources of risk, preparing a scheme to prevent or control risk, implementing and managing and monitoring precautions. 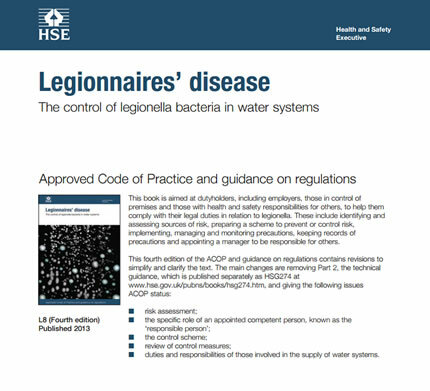 The guidance gives practical advice on the legal requirements of the current legislation concerning the risk from exposure to Legionella and guidance on compliance with the relevant parts of the Management of Health and Safety at Work Regulations 1999.